Though there are episodic elements to King of the Hill and just about any episode can be watched in any order (though even in order, Luanne’s hair regrowth was a bit random), this season made it clear that there are larger, overarching story arcs to be followed. In particular, the final episodes set up a change in the relationship between the Gribbles and John Redcorn. Dale will probably always be oblivious to the affair going on, but it’s taking its toll on Nancy and John. John Redcorn. They never just say ‘John’, haha. There are also big development moments for Bobby in his relationship with Connie from next door. Watching the show in any order would see some strange jumps in their feelings for one another, and it’s a well-judged puppy love relationship. But the most interesting thing about this season is that it seems like there’s a shift similar to The Simpsons' change in focus from Bart to Homer. They play out most of their good ideas for their main character early, and some secondary characters seem to take over for the best episodes. In this case, it’s Peggy, whose self-regard, low abilities and perfectionism make for a very amusing character to deflate. 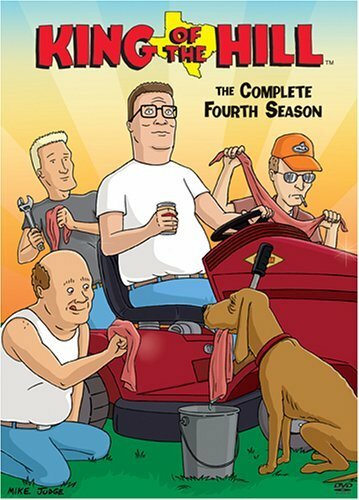 All in all, King of the Hill remains a very clever and enjoyable show at this stage, and well worth continuing with.